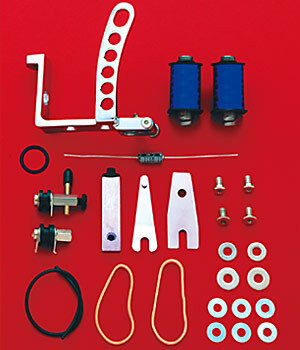 Machine kits contain all the parts necessary to assemble a complete Tattoo Machine with 8-wrap, 10-wrap, pre-wired 8-wrap or pre-wired 10-wrap coils (less needle bar and tube). If you do not have previous experience with the mechanics of a Tattoo Machine, we suggest you refer to our book Tattooing A to Z by Huck Spaulding. It has all the information and illustrations you will need to get the job done right.